A lovely day on Aonach Mor, with a thick layer of cloud in the glens. Unfortunately we left the camera battery in the charger and so cannot show you what a great day it was. 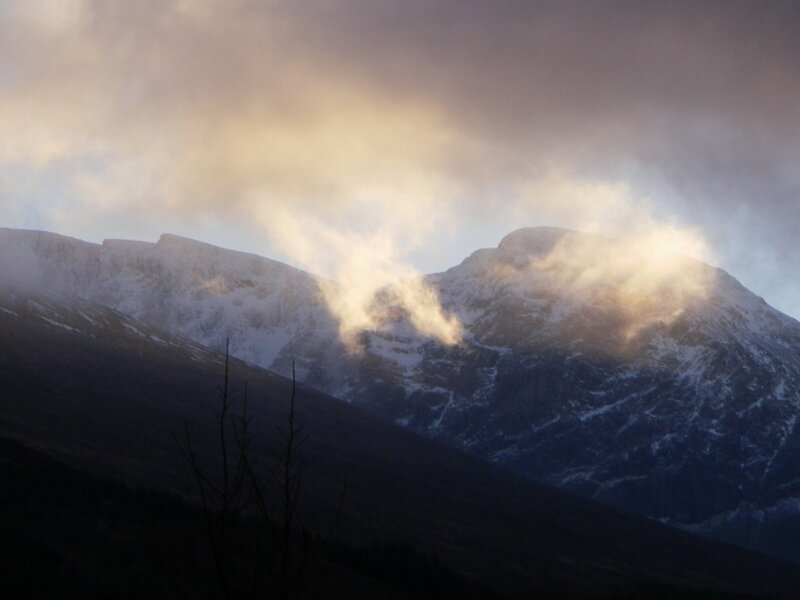 A photo of part of the Ben from near Nevis Range in the late afternoon will have to suffice. It does illustrate the loss of snow from mid altitudes. There is still a considerable amount of snow on the upper slopes near summit level.